Ten years ago, the solar industry was given the subsidies needed to reach competitive economies of scale. In 2005, the U.S. government increased the solar tax credit from 10 per cent to 30 per cent. In 2006, Ontario put in place a generous feed-in-tariff to accelerate solar in that province. As founder of the largest solar services provider, SunEdison, I had a hand in putting in place many of these subsidies. The argument was that with these subsidies we would be able to reduce costs through scale in local markets. This strategy has worked. 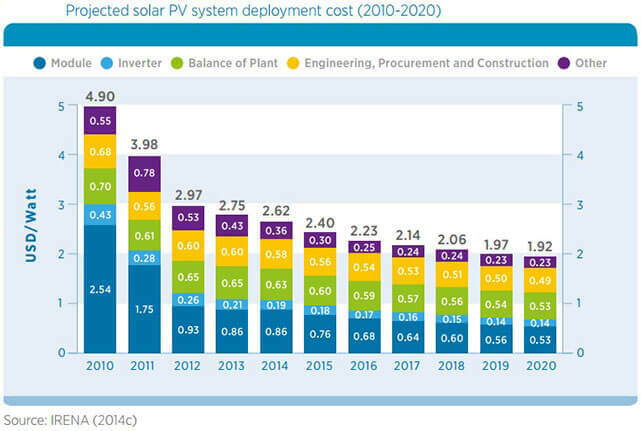 Since 2008, an average solar electricity system has had a cost reduction of almost 80 per cent. Today, solar subsidies in maturing markets like the United States and Canada are actually holding the industry back, not propelling it forward. In fact, popular solar markets like Germany have brought their solar subsidies down, and the industry has continued to grow, surpassing 38 gigawatts of installed solar capacity at the end of 2014. Germany has done this by getting solar installed at far less cost than in North America, where investors like me manipulate solar subsidies to maximize returns. The truth is that installers in the United States can, and do, install solar at roughly the same cost as German installers – save for some increased soft costs. The message here is that to achieve higher growth, we need to phase out the solar tax credits and other solar subsidies in mature markets and watch the price of solar fall. Here’s one supporting fact: The cost of solar from the most efficient installers is now cost-effective without subsidies for ideal customers in over 600 utilities in 47 U.S. states. Those 600 utilities account for about 21 per cent of all of the electricity sold in the United States, according to the U.S. Energy Information Administration. My experience is that declining subsidies lead to greater system cost reductions, lower-cost money, and greater standardization in the industry, which leads to an acceleration of solar PV deployment. This conclusion is derived from the living laboratories of India, Germany, the U.K., and Australia. While I was initially skeptical that the elimination of high subsidies would be a shock that could be absorbed by the industry, my skepticism was abated through a clear review of the data. Initially, my feeling was that competition alone wasn’t enough to drive prices lower. 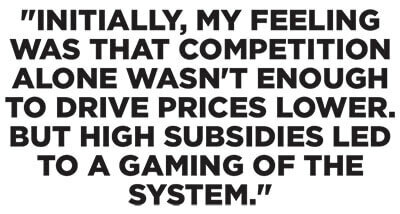 But high subsidies led to a gaming of the system by all of the market participants. About four years ago, when India, Germany, the U.K., and Australia began drastically reducing, or removing, their feed-in-tariffs, a curious thing happened – the cost of capital from investors came down. Solar installations continued to grow because the local solar industry cut prices throughout the supply chain to keep investors interested. While most folks could understand how this transition might work in a mature market like Germany, younger markets like Australia, the U.K., and India were also able to replicate the cost reductions. Today, the average 500-kilowatt commercial solar installation in Australia and the U.K. can be installed for a profit of around $1.65 per watt (U.S.) – the same as Germany. In India, where the basic building block is a five-megawatt utility scale project, large international firms are building and investing in solar systems for less than $1.20 per watt. Much of the policy design around solar subsidies relied on the principal that they would decline. In places like Ontario, these decline rates were tied to the calendar, or to political decision-making. As I warned in the period between 2008 and 2009, this clumsy approach cost the citizens of Ontario far more money than necessary. California learned from those mistakes and set up their program to decline based on volume of solar deployed, a far more logical policy. The Ontario policy is still not set up to attract the level of talent and capital necessary to accomplish their goal of cost effective distributed solar power. Ontario should take their current feed-in tariffs and reduce them based on the amount of solar installed, as New York has done. In the United States, while California’s state subsidies have been brought down to almost zero, the federal tax credit passed in 2005 has stayed constant at 30 per cent of system costs. At the same time, installation costs in the U.S. have come down to levels similar to those in Germany. The persistence of this federal tax credit has kept commercial solar prices stubbornly high. This has resulted in a few puzzling outcomes. 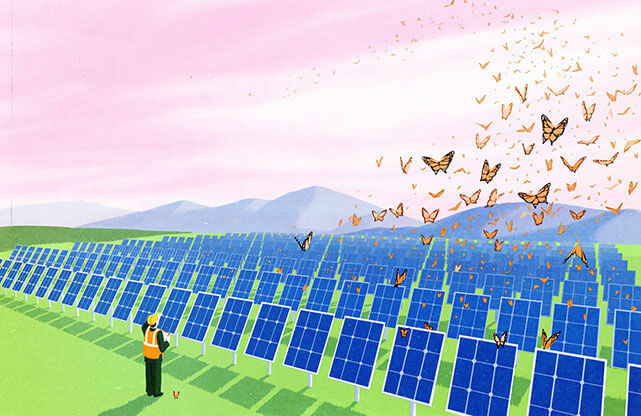 For companies like SunEdison that signed contracts in 2010, but are building in 2015, the excess profits that came from cost reductions in the intervening years are going straight to their bottom line. They have no obligation to pass those along to investors in the form of higher returns. For project contracts that have been signed more recently, residential customers aware of the existing subsidies are now demanding that savings of 25- to 40-per-cent be reflected on their bills. I am sure legislators did not have those kinds of discounts in mind when they passed the tax credit policy. The good news is that the 30 per cent federal tax credit will be phased out at the end 2016, helping the U.S. solar industry transition to one that can achieve cost-competitiveness with grid electricity. Besides, having that tax credit hasn’t helped the solar industry access affordable capital, despite the fact that the U.S. has kept interest rates very low. Even though low-risk certificates of deposit pay just 1.5 per cent, and Canadian energy trusts just 4.75 per cent, the U.S. solar industry routinely pays 10 per cent to investors. Why? Two words: tax equity. Tax equity structures require immense legal costs and are inaccessible to most investors because of arcane passive investment laws passed in 1986 – where oil and gas are of course exempted. It wasn’t until SunEdison’s yield company offering, Terraform Power, and similar Yieldcos emerged that the solar industry was able to access this low-cost money. That’s because most of this money is held by institutions not permitted to monetize federal tax credits. Yieldcos have shown that when the investor pool is broadened, the cost of capital plummets. Yieldcos now return about 3 per cent dividend yields to investors, which make the 10 per cent returns using tax equity structures seem outrageous. If the numbers work without tax credit subsidies, why not just invest today even if you can’t use them? The reason is basic human psychology: if the subsidies are available, people want to use them. 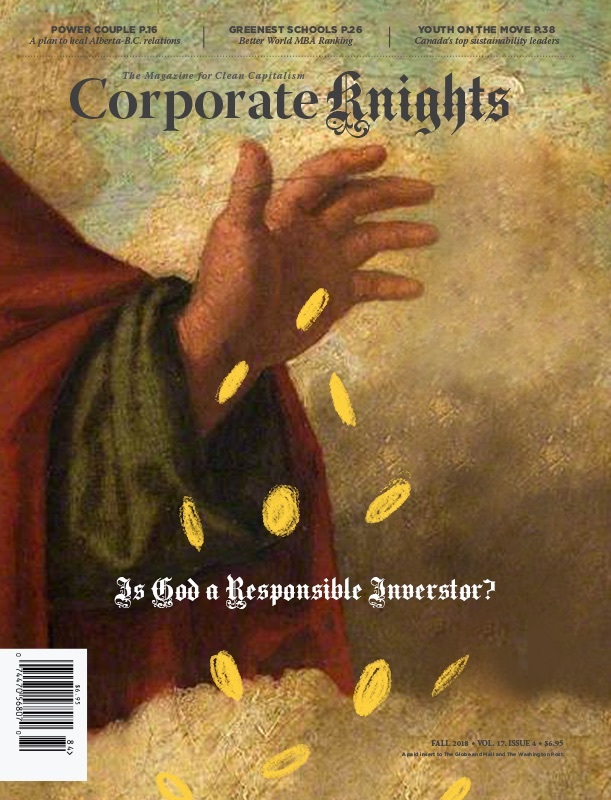 If they can’t use them, investors would rather not invest than “leave money on the table.” This tax credit dilemma also prevents professional investors like Fidelity Investments from offering middle-class investments to baby boomers, many of whom are desperately looking for fixed-return products that also allow them to invest in their own communities. In 2014, the U.S. solar industry employed almost 175,000 people and installed more than 6,500 megawatts of solar, attracting over $20 billion in investment. The solar industry is not small. It now employs more people than the oil and gas pipeline industry, coal mining and steel manufacturing. In fact, the solar industry has created almost one out of every 80 jobs created in the U.S. since the 2008 financial crisis. By 2016, the last year of the 30 per cent federal investment tax credit, the U.S. solar industry will be installing two times the megawatts and employing well over 200,000 Americans. This can only happen if we can find over $12 billion in tax equity – while the available liquid tax equity market is around $5 billion. When the federal tax credit for commercial solar projects goes from 30 per cent to 10 per cent by 2017, we could live below the $5 billion cap and continue our rapid growth rate. The U.S. solar industry needs mainstream finance, lower costs, and greater standardization to maintain 12,000 megawatts beyond 2016. Germany doesn’t install much cheaper than the U.S.; they just have a lower price of capital because their solar industry is open to all investors. One pushback I get is that coal and oil are still subsidized and so solar shouldn’t phase out subsidies until there’s a level playing field. That is a rational argument, but climate change isn’t waiting until politicians turn against fossil fuels.